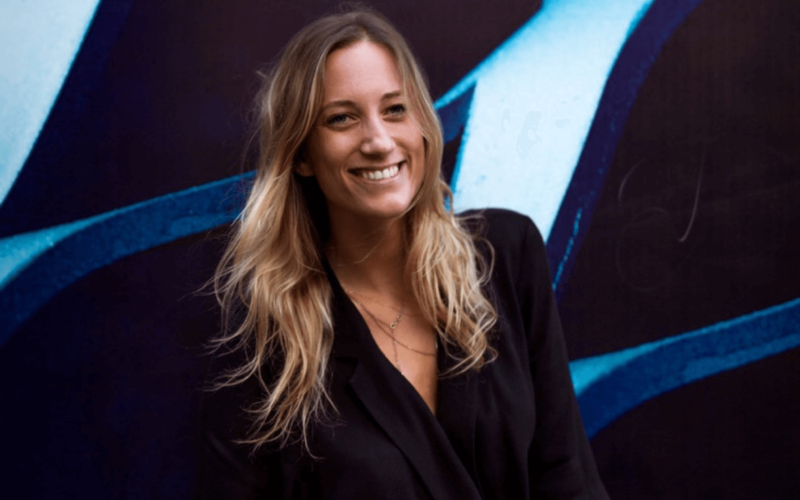 Our Membership Managers are the eyes, ears and heart of each Huckletree. They’re our people on the ground, forging connections between Members and the wider community. Our Membership Managers are tech-enthusiasts, problem solvers, and people first. Trust us, their support is extremely beneficial to your startup, no matter what stage you’re at. 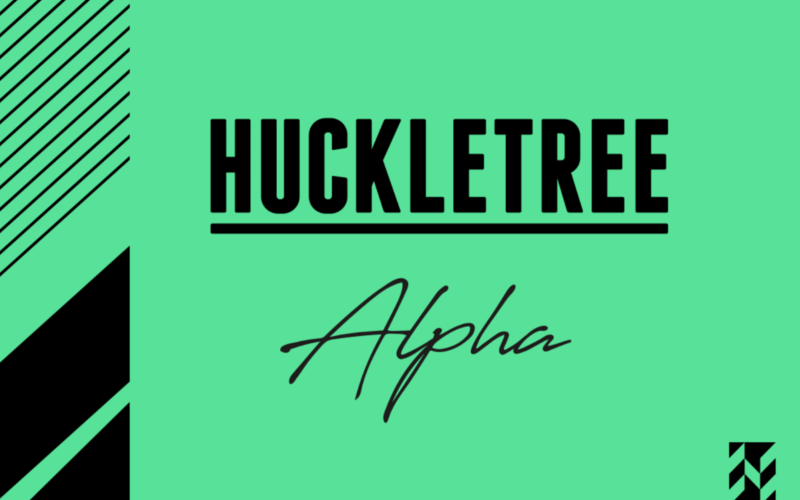 What were you doing before Huckletree? Before Huckletree I worked very briefly as an Ops Manager and before that I was handling Members’ Relations at Soho House for a long time. What attracted you to Huckletree? The community! Both from the Membership side as well as the Team side. 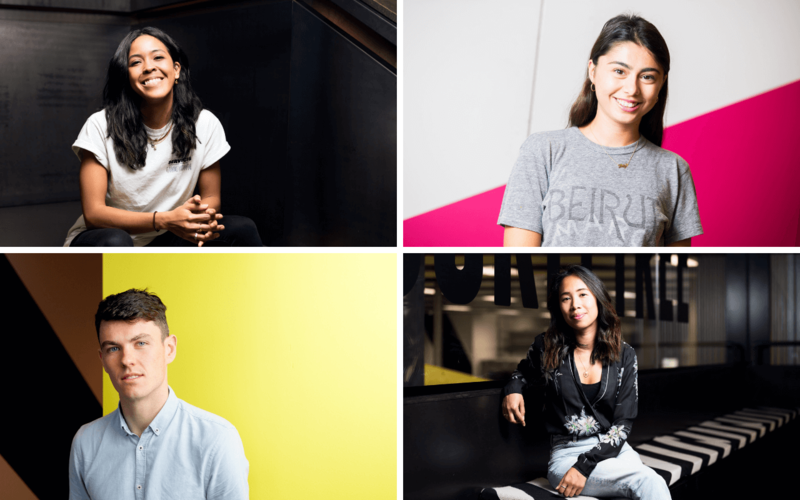 Huckletree is super inclusive, and there are so many opportunities to take initiative and put your own stamp on things. What do you love about Shoreditch? I love my team here! I also really love the curious couches. (A staple of Huckletree Shoreditch). Tell us a moment which really highlights the essence of your role? Everyday I have a positive experience with a Member. I know that sounds really general but in this role every time you know you made someones’ day better, whether its connecting them to another great company or even just having lunch with them, it’s just a really gratifying feeling for me. What has been your favourite Huckletree event and why? My favourite event has been our Members’ pub quiz. It brought out Members that don’t normally come to members’ drinks and also was a nice break from the startup day-to-day! If you could swap Huckletree locations for a day, where would you go and why? I’d swap with Clerkenwell cause I’d love to learn loads more about what Huckletree HQ is up to. 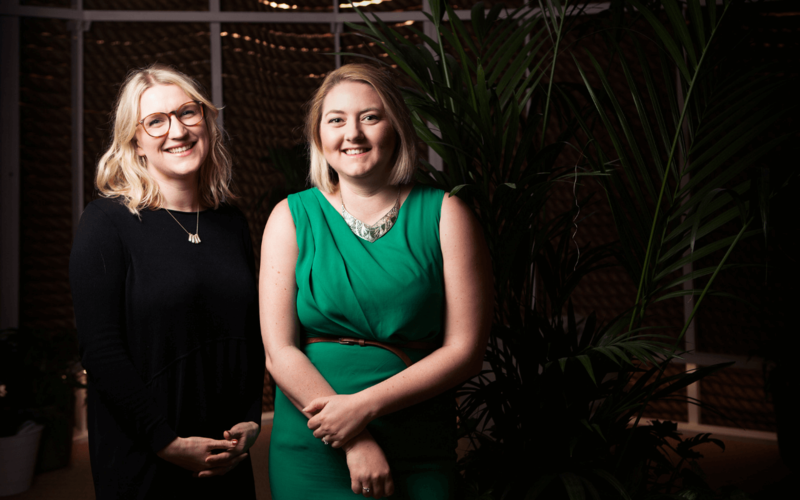 There are so many new amazing people that have come on board recently and it would be great to know more about how roles are diversifying with our expansion. Any advice for our future Membership Managers? Make sure to make loads of room in your brain to learn everything about everyone. There are so many amazing companies and people in the space that are doing such different things. It’s such a great opportunity to learn how different industries operate and what kind of people help to make them up! I was a full-time politico/geek studying Politics at King’s in London! I focused on contemporary political philosophy, particularly on women’s political standing in popular culture and entrepreneurship. 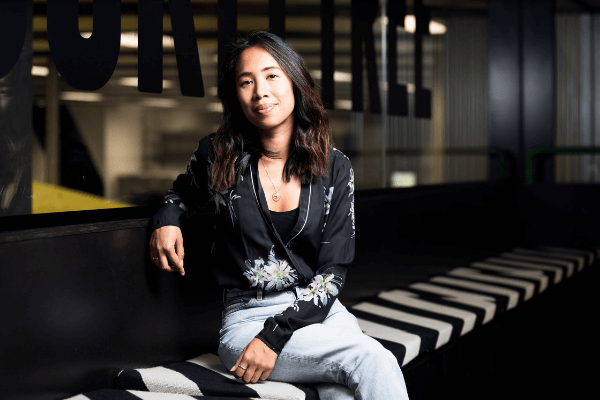 Aside from the fun aesthetics – Huckletree’s focus on community and continuous learning really resonated with me. Plus the mission of cultivating renegade entrepreneurship reflected what I’d written my thesis on. What do you love about Soho? As a born and raised Londoner, Soho has always been a go-to place for me not only just for the amazing nightlife but for its cultural offering. I feel it’s a home for those who like to push boundaries. 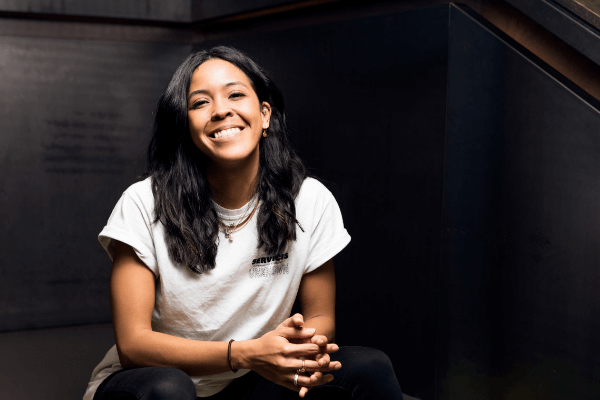 Whether it’s Soho Theatre or the extensive list of incredible restaurants and retailers, they’re all striving to be innovators in their respective fields. 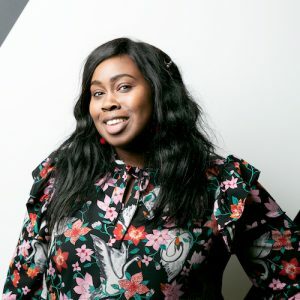 As I’m yet to fully step into the new Soho space, I’ll talk about my time working at Front of House at Huckletree West. I think one of my favourite moments was helping Butternut Box film one of their marketing videos in which they placed Bella the Cavapoo behind my desk. No two days are the same at Huckletree! Whilst we host a bunch of cool panels, I have to say my favourite kinds of events are ones that bring the internal community of Huckletree members altogether. Huckletree West’s 1st birthday party was particularly great as all the different companies within the community really connected, got to know one another and celebrate together. Out of pure curiosity I would take a trip to Huckletree Dublin. They’re based in a beautiful historical building and have a pretty enviable wellness schedule. Any advice for future Membership Managers? Expect the unexpected and always be up for listening and learning. I was working with Enterprise Ireland in London, supporting the next generation of early stage Irish startups breaking into the UK. The ability to work alongside world-class companies with genuinely disrupting technologies. 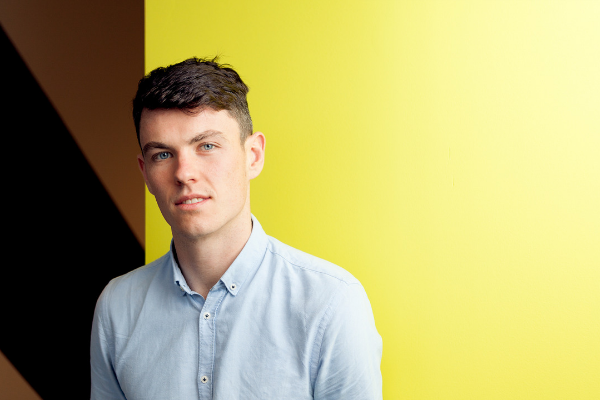 What do you love about Huckletree Dublin? The terrace in the summertime. Thursday evening drinks when we have a flicker of sunshine is amazing! International Women’s Day this year was a particularly proud moment for the team. We welcomed the Irish government, including An Taoiseach, Prime Minister, Leo Varadkar. The original women’s workers rights union was established in our beautiful Academy building in 1911. To celebrate that, they came back to formally ratify Ireland’s support for the Istanbul Convention (the Council of Europe Convention on preventing and combating violence against women and domestic violence). Shoreditch has an incredible buzz to it. That said as a massive dog fan so I would have to say West, I have heard there are quite a few puppies hanging out there. Call me the Jack of all trades! I spent many years working in the corporate world in insurance then traded it all in to work in the creative sector in a Retail Design agency. I also was a dancer performing around the UK and Europe. I found an article online about the top coworking spaces in London and Huckletree was featured in it. 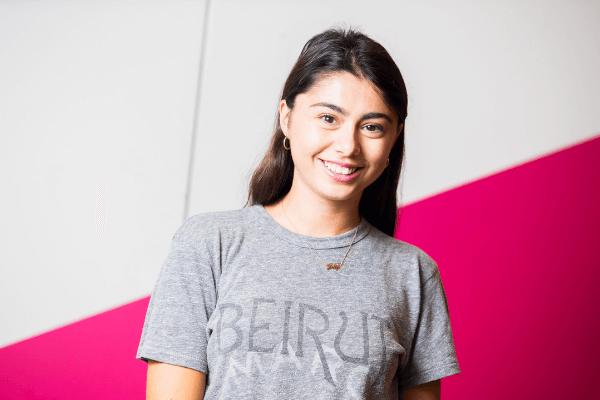 So I did my research and got in touch with Gaby Hersham (our lovely CEO) and fell in love with all things Huckletree. What do you love about your location? I like being able to recognise everyone in Huckletree West. I enjoy coming into the space everyday knowing that I can say hello to everyone and they do the same back. We’re dog friendly in Huckletree West and we have a dog food company; Butternut Box who always have some friendly pups inhouse so that’s always a bonus! One of the best things about working in this role is that you get to see and be part of the startups’ journey: from that first tour, to when they become a member. It’s a great feeling getting to know them personally and seeing their business grow and offering support along the way. There are two events that actually stand out in my mind. One was the launch party for our alumni members, Fixers. They were part of our first cohort of the Alpha programme and it has been awesome seeing them grow. The second event was our launch party when we opened up Huckletree West. It was a huge team effort in the buildup – pitching in wherever we could – but the feeling of achievement at the end was unmatched! That’s a tricky one! I would choose Huckletree Shoreditch as that’s where I started my Huckletree journey. I used to be Front of House in Shoreditch so it still feels like home to me. It’s always nice to see some familiar faces with some longstanding members over there. Plus Huckletree Shoreditch has a rooftop terrace, so I always enjoyed that during the summer! I’d say enjoy every moment every day as there’s always a new challenge to keep you on your toes. The best thing about our spaces is that we create communities to connect people and part of that is that you have the opportunity to add your own spark, too. Bring your whole self to work, so the members can do that too!